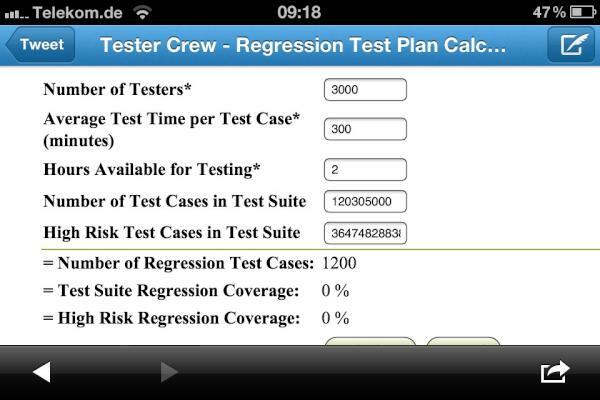 Yesterday James Bach rumored around a link to a test case execution time calculator. Besides the fact that it’s complete non-sense to use such a thing for professional testing, I started to play around a bit. I ended up with a ridiculous result. I think there is more to it. So, here is your mission, if you dare to accept it.